I am joining a WHOLE bunch of wonderful bloggers in this Bright Ideas Blog Hop! We are all discussing some great ideas we use in our classrooms. I am sharing my gallery walk idea. 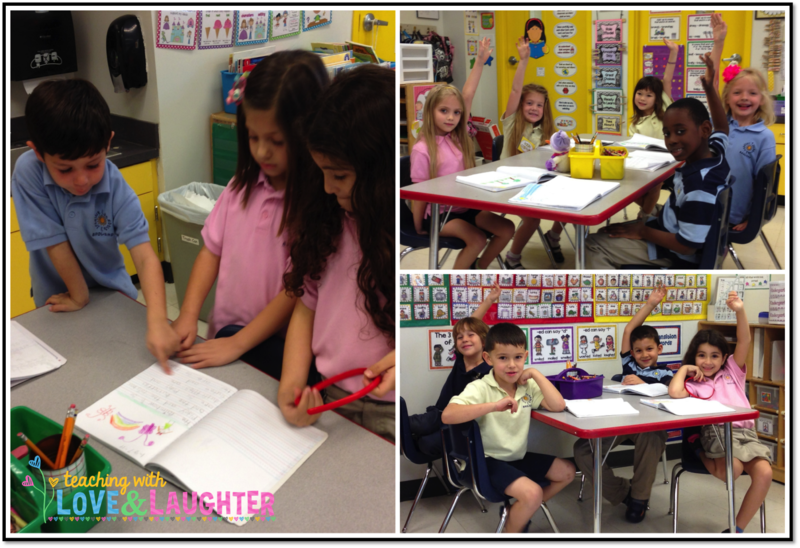 When you teach the little ones, they ALL want to share EVERYTHING they write and draw. It's almost impossible to find the time for everyone to share, so I have devised a way to allow EVERYONE to share all the time. I use the gallery walk approach. After we are finished writing, all of my students get up and walk around the room, looking at everyone's work. They read and comment to each other, sharing their thoughts and compliments. I love listening to their conversations and watching them share their masterpieces with each other. When we are finished with our gallery walk, I ask them to share a thought or two, telling the class what they saw that they really enjoyed. As you can see from the pictures above, they are ALWAYS ready to express their thoughts! I encourage them to be specific and not just say, "I liked John's work because it is nice." 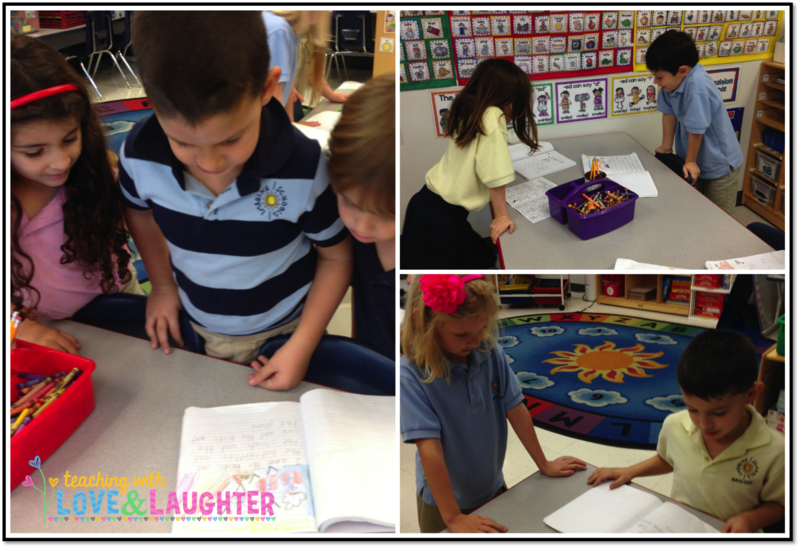 This whole process takes just a few minutes and it is a favorite activity in my class. Try it! And then let me know how it goes! Need a bright idea about how to organize your lesson plans? 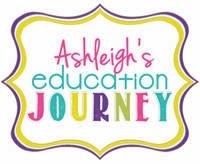 Hop on over to Ashleigh's blog and read all about it! You can also visit the link-up below and choose a topic that interests you. There are lots and lots of great ideas! Happy reading! YES! I LOOOOOOOVE gallery walks too, Lori! I used to do them in the computer lab with PowerPoint presentations that my students made. They would all wander around, looking at each others' presentations, and leave a nice comment on the last slide. They love it! Thanks so much for sharing! Shelley, thanks so much for visiting AND for organizing this blog hop. Lots of great ideas! I look forward to the next one! Gallery walks are our favorite too! Love it! I know! So much fun! Gallery Walks are SO SO SO fun!!! I love them and so do the kids! By the way your new blog design is so pretty, just like you! Aren't you sweet! Thanks so very much for saying so AND for visiting! Super cute idea, Lori! Love your blog design, btw! I have done gallery walks for special projects. But, I never thought to make them a part of our daily routine. I love it! Great idea, Lori! Thanks so much. So glad I could help you out! I LOVE your turn and talk post! Wonderful idea! I used to do this more often and I've sort of forgotten, or run out of time... but it's important and hits on so many skills. Thanks for the reminder! My students won't ever let me skip it! LOL! What a great self-esteem booster! Love this idea! Thank you so much for sharing with us! The blog looks beautiful!! Made me smile! I love gallery walks - this is a great way to have students share their writing. Thanks for helping me see a familiar strategy in a new way! So glad I could help! Thanks for stopping by! What a great way to have students share something meaningful. Love it! Love this idea- need to do that more often!! Your kids all sound like such sweeties! They are! They really are! I just started doing Gallery Walks with my students this yea and they are so into it! I've never had them look at each other's work though, so I am going to try this out! This looks so nice. I would love to start to implement this into my first grade classroom. I think they really respond well to their peers.